What makes one singer’s voice “really do it to you” while another’s leaves you feeling ho-hum? Is it just that some have it and some don’t – Some indescribable and mysterious achievement of luck and lineage? As a lead singer you need the correct focus and adequate technique to comfortably and predictably create the sounds most appropriate to the musical style and emotions of each song you sing. 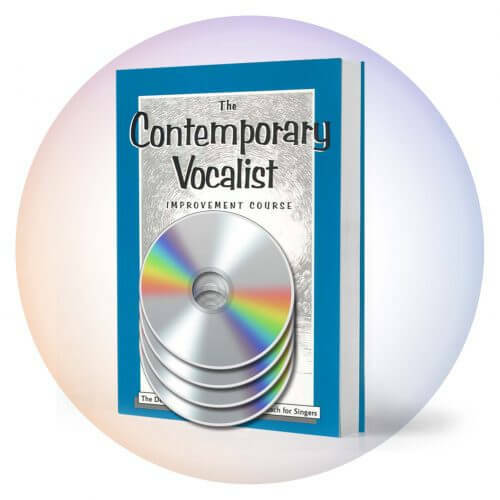 During my many years of teaching thousands of contemporary vocalists, I’ve found that basic vocal skills can be developed, achieving a higher level of expertise by anyone wanting to improve their vocal performance. 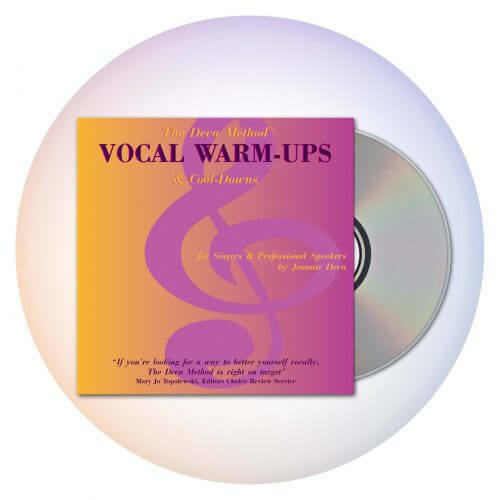 Without developing any further technical vocal competence, you can do one thing that will automatically help you sound good (or at least better). Select a key for the song that will allow you to sing comfortably all the pitches in the melody. If you have enough range to present you with several choices, select a key that is appropriate for your range as well as for the mood of the song. The Blues usually sound better sung low or mid-range while many rock tunes pack a punch and cut through the band’s volume more easily when sung higher. Have you ever been uncertain when and on what pitch to start singing? All the other work you do on your voice and song can be blown if preparation for entrance is overlooked. Listen to what’s happening musically just before your entrance. Choose an instrument or particular melodic line in the instrumentation that will give you your starting pitch. Count the beats and figure out how many there are before the lyrics begin. Practice your entrances using this information until you no longer need to think about it. In this way you can sing with confidence rather than standing on stage absorbed in worrying, while the audience wonders what you’re doing up there. It’s got to be your song when you sing it. Getting across the emotion of the song is what gives the song its punch. I once heard someone sing a simple, quiet song like it was a big tear-jerker. She used little “catches” in her voice to show just how much “feeling” she had. It was inappropriate for the song and created an undesirable effect on those listening. 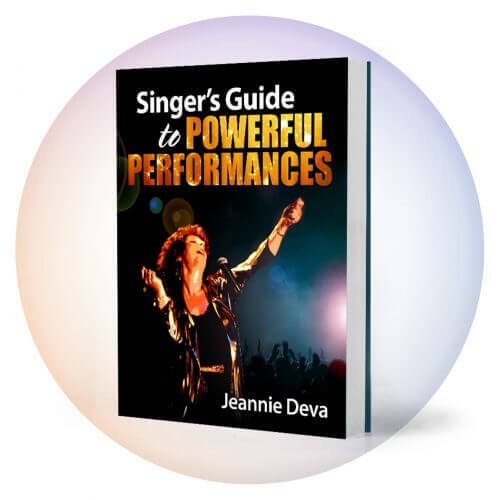 The most effective vocals are ones that are emotionally believable to the audience. Your voice is sensitive to your emotions and thoughts. The meaning you give a song will automatically influence the integrity of your sound and your impact on the audience. Take the lyrics of a song. Look over the words to each verse. What’s the story of the song? By singing it, what do you want to say? It’s not always some deep significant message, but if you don’t understand what you’re saying, your audience won’t either. Speaking, then singing the words aloud, can help you find your own interpretation. Contouring your song with phrasing and volume while sounding natural is essential in holding the interest of your audience. Once you’ve developed your own interpretation of the song, use the following guidelines. To achieve an emotional build-up, you don’t always have to increase your volume. Often, an ascending pitch or melodic phrase builds emotion. You can draw back your volume at these times and create even more intensity. Use pauses to breathe or to place greater emphasis on a key word. Ensure that your pauses stem from an understanding of what you’re saying and are natural rather than mechanical or choppy. Incorrect phrasing can obscure the meaning of your lyrics. Giving your words equal stress is monotonous. In every sentence there are key words that carry the meaning. The others are connective or supportive which, if stressed, obscure the overall meaning. For example, if you spoke this sentence stressing the word “the,” it wouldn’t make sense. Place your emphasis on the words that will create the greatest expression and meaning. You can emphasize a word by increasing its volume, holding it longer than the other words in the phrase, adding texture to the vowel such as a growl or rasp, or using vocal embellishments on one or more syllables of a word. For examples of these techniques, listen to Robert Plant, Chaka Khan, Patti LaBelle or Creed. When applying these principles, keep in mind the saying: “Less is more.” Vocal acrobatics are technically impressive but will only communicate when done tastefully, in context and spring from your emotions rather than merely an effort to impress. I’m sure many of you have experienced the frustration and strain of having to shout over the band. This of course makes not only your voice, but the entire band, sound bad. Since a good lead vocal can make or break a band, you should be given special attention in the set-up and mix. Make sure your band understands that the singer is the key focal point for the audience. They should support you when you’re singing, and then shine during their solos. In addition, always use monitors. They’re essential feed-back to help produce accurate pitch and volume. Get a microphone appropriate for your voice and music, and your own monitor/mixer/effects equipment to give you better control over stage mix and volume. Run a sound check before performing. Spend time checking your vocal mix alone and with the band. Treat your sound-person with respect. Talk with him or her beforehand. If there’s no time for a sound check, supply a set-list with information on what’s needed from the board for each tune. (If a tune requires echo, figure out delay time and feedback before the show.) Look for ways to be in control of your own destiny!